Anne-Marie Heegaard, M.D., Ph.D. is Associate Professor at the Department of Drug Design & Pharmacology, University of Copenhagen. 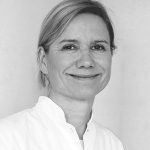 Anne-Marie Heegaard’s laboratory focuses on molecular and cellular mechanisms underlying malignant and non-malignant bone pain. Her research is translational and ranges from in vitro studies to animal models and clinical investigations. Previously Dr. Heegaard was Head of in vivo pharmacology at a biotech company. 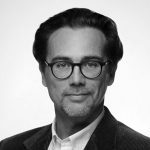 Dr. Heegaard was the coordinator of the European Training Network: BonePain (2015-2018) and is the coordinator of BonePainII. 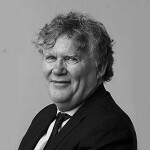 Stephen McMahon is Sherrington Professor of Physiology at King’s College London. His major research interest is pain mechanisms. He has a long-standing interest in identifying pain mediators and studying their neurobiological actions. 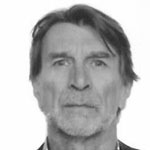 He has worked extensively on the role of NGF (neutralizing antibodies now in multiple phase III trials), ATP acting at P2X3 receptors (receptor antagonists now in multiple phase II and III trials). His current research is focused on neuro-immune interactions, particularly the neurobiology of chemokines, and the genetics and epigenetics of pain. 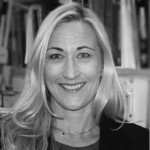 Camilla Svensson received her Ph.D in Molecular Pathology from University of California, San Diego in 2005 and then undertook post-doctoral work centered on inhibitory regulation of intracellular signaling in rheumatoid arthritis at the same university. Camilla Svensson started her laboratory at the Karolinska Institutet, Department of Physiology and Pharmacology, in 2008, where she today is a Professor and Wallenberg Academy Fellow and Söderberg Fellow in Medicine. She is leading a research team exploring pain mechanisms in rheumatic disease, with a specific focus the role of antibodies and glial cells in pain processing. John Wood’s laboratory focuses on peripheral drive as a key element in acute, inflammatory and neuropathic pain. He pioneered the identification of sensory neuron-enriched genes and exploited molecular genetics to examine deficits in pain behavior using transgenic knock-out mice. The first sensory neuron tissue-specific knock-out mice were generated by his team at UCL in 2004. This pioneering work led to the identification of many proteins that have a key role in pain, and by combining mouse and human genetics, have had major translational and clinical significance, as more than 1000 new chemical entities focused on analgesic targets identified by the Wood lab have been patented. The targets he identified and validated in transgenic mice, such as Nav1.8, P2X3 and Nav1.7 are now all major areas of activity by pharmaceutical companies developing new classes of analgesic drugs. Chantal Chenu is a Professor in Bone Cell Biology at the Royal Veterinary College in London. After graduating from the University of Lyon with a degree in Biochemistry, she conducted her PhD research in David Roodman‘s laboratory in San Antonio, Texas on osteoclast differentiation. 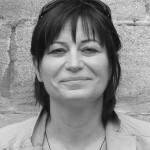 She then joined Pierre Delmas’ group in Lyon, where she became an independent INSERM researcher focusing her research on the role of the nervous system in the control of bone mass. She moved to London in 2003 and her more recent research interests are the regulatory and repair mechanisms of bone. 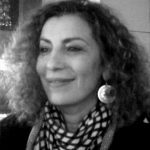 Chantal Chenu is a member of the Editorial board of J of Endocrinology and J of Molecular Endocrinology. 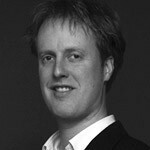 Dr. Niels Eijkelkamp received his PhD in 2009 on mechanism of inflammatory pain. His first postdoctoral positions he had a joint-appointment at the University of Illinois at Urbana-Champaign, USA and University Medical Center Utrecht centering his work on neuro-immune regulation of pain. Starting from 2010 he performed postdoctoral research funded by fellowship for 2 years at the University College London where his worked focused the molecular basis of mechanotransduction, touch and allodynia. In 2012 he started his group at the University Medical Center Utrecht that is geared at unravelling mechanism of inflammatory and bone pain with a focus on neuro-immune interactions, involvement of the peripheral immune system and identification of novel chronic pain targets. The pioneering work has led to the identification of new pain genes, novel immune mediated pain regulatory mechanisms and to several patents that are being commercially exploited. Dr. Paolo Cesare received his PhD from King´s College London, where he worked with Prof. Peter McNaughton on the cellular mechanisms of heat-induced nociception. He then undertook a Wellcome Trust Fellowship at University College London in the lab of Prof. John Wood, where he developed new methods to explore pain mechano-sensitivity at single-cell level. Following positions at University “La Sapienza” in Italy and at GlaxoSmithKline in UK, where he explored excitability and degeneration in the peripheral and central nervous system, he moved to the Natural and Medical Sciences Institute at the University of Tübingen (NMI, Germany), where he is heading the Neuro Microphysiological Systems Group. Here, by working at the interface between life sciences and engineering, Dr. Cesare is focusing his research on novel 2- and 3D assays integrating in vitro neurological disease models with microelectronics and microfluidics. Meriem Lamghari is the Leader of neuroskeletal circuits research group at INEB/i3S and Professor at Institute of Biomedical Sciences Abel Salazar of University of Porto. Her group focus on the peripheral signalling molecules and their receptors involved in the neuro-skeletal crosstalk, to provide therapeutic targets for the treatment of bone loss and joint degenerative diseases. In the framework of her research, she established 3D models of skeletal-neuronal cells co-cultures in microfluidic devices. To this date, she was successful in obtaining funding for 19 externally funded projects, 6 of which as coordinator. She is an active member of European networks and established national and international collaborations that resulted in 45 papers (Scopus May 2018) and several awards. She is also involved in Doctoral and Post-doctoral supervision, educational activities, animal ethics, lab management and organisation of scientific meetings. ORCID: 0000-0002-2500-4548. Kim Henriksen, M.Sc., PhD has during the last ten years focused his research on drug discovery and development of novel biomarkers within the fields of osteoporosis and diabetes.The pharmacological work has resulted in the development of a large pharmacological program for the identification of inhibitors of the chloride channel ClC-7 to be used for treatment of osteoporosis and osteoarthritis. In addition, he leads a pharmacological program focused on the development of a dual acting calcitonin and amylin receptor agonist as a treatment for type 2 diabetes. The efforts have resulted in more than 100 publications in peer-reviewed journals. 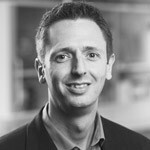 Dr. Iain Chessell is the Head of the Neuroscience therapy area at AstraZeneca, Cambridge UK, leading a cross-functional team dedicated to discovery and clinical development of the neuroscience portfolio. After building a portfolio in analgesia and neurodegeneration, he was promoted to vice president and head of the Neuroscience Center of Excellence and subsequently head of the AstraZeneca neuroscience IMED. Dr Chessell also serves on the AstraZeneca IMED leadership team and manages several high profile academic and industrial collaborations, and is author of more than 90 peer reviewed publications. He received his bachelor’s degree in pharmacology from University College London, and received his doctoral degree from the Department of Neurochemistry at the Institute of Neurology, London. 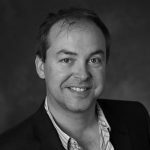 Paul joined Cellectricon in 2012 and is responsible for scientific strategy, and establishment and development of Cellectricon’s Discovery Services. He previously worked at AstraZeneca (AZ; 1999-2012) where he held leadership positions at the Department of Molecular Pharmacology and later at the department of Neuroscience. 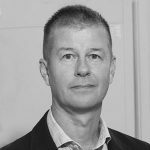 At the R&D facilities, Paul led teams responsible for ion channel and GPCR profiling in LI-LO phase, mainly on analgesia targets, and most recently a target identification/target validation team focusing on native (human) tissue and pain mechanisms. Prior to joining AZ, Paul was a Postdoctoral Fellow at School of Medicine, University of Pittsburgh, USA, studying neurobiology using electrophysiological methods, and a Graduate student in animal physiology at University of Gothenburg, Sweden (1991- 1997). Amy Fisher, BSc, PhD is the Principal Scientist in pain research at Transpharmation Ltd., London, UK. She is a professional researcher with a strong scientific background in neuropharmacology, pharmacology and the physiology of pain processing. She has held a variety of posts enabling development of strong collaborative links within both academia and industry. She is an expert in preclinical neuropathic and inflammatory pain models and their role in drug discovery and novel target validation. 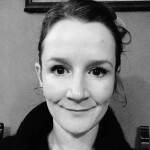 Her research interests include developing translatable measurements in naturally occurring/spontaneous pain models along with identifying biomarkers of responders/non-responders to gold-standard treatments using a novel transcriptomic approach.